An Experienced Enrichment Speaker is required who can provide 9 Powerpoint presentations during the cruise. This is a SpeaknSave cruise offer meaning that a small booking administration fee will apply for the successful applicant. Cabin provided will be an Inside Passenger Cabin with a fixed double bed. Bring a guest FREE OF CHARGE, twin share basis. Your guest will be required to pay a daily gratuity fee of USD$13.50. The successful applicant and their guest will be provided full passenger status. Read the GUEST PRESENTER MANUAL for full details relating to this offer and what Princess Cruises will provide. No travel is provided. You and your guest, if you bring one, will need to cover your own travel expenses to the ports of embarkation/disembarkation. Please submit your proposed talks along with your registration. This information has been compiled from various sources. Whilst every effort has been made to provide accurate information, the cruise lines can and do change their itineraries. Cruise Ship Speakers cannot be held liable for any inaccuracies that these programs may contain. 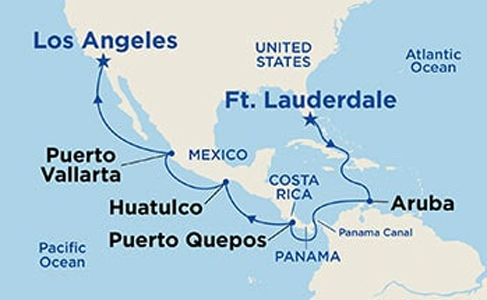 Please refer to the up-to-date information provided by the cruise lines themselves. Please notify the Web Administrator if there are any inaccuracies. Click on the photo or name for full profile details. The following people have indicated their availability for this cruise or sectors of this cruise. The list is in ORDER by General Discipline (ie. Art Instructors, Bridge Directors, Craft Instructors, Destination Lecturers, Enrichment Speakers, etc). Please contact the candidates directly if you would like to engage any of them. There are NO fees to do this. Alternatively, we can arrange the bookings on your behalf. Please advise us of your choice(s) for this cruise. Steve Is an established artist and music historian and give a fascinating insight into the formation of Motown in Detroit to Stax Records In Memphis, as well as exploring the artist and musician that came to make there music famous. He also give a insight into the formation of Jazz and it roots to it modern interpretation.